We are instrumental in designing and exporting an extensive collection of mens wallets that are crafted using finely tanned leather. High in quality and aesthetic appeal, our men’s wallets are sure to meet the tastes of our clients. 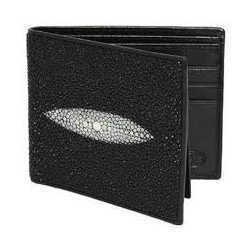 To make our range in line with the market requirements, we undertake customization of our men’s wallets. We are fundamental in designing and marketing an exclusive collection of mens leather wallets that are finished to perfection by our expert team of craftsmen. These wallets exhibit high workmanship and finesse, are reckoned for their features of endurance, and crack resistance. Mens Wallets, Leather Wallets, Mens Leather Wallets,Gents wallets,Bi-fold Wallets,Tri-fold Wallets,etc. We have in store for our clients, an exquisite assortment of mens wallets that is designed using perfectly tanned leather. 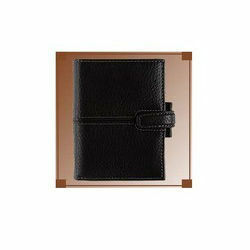 These men wallets are in line with the latest fashion and are apt for showcasing a classy look. Mens Wallets, Leather Wallets, Mens Leather Wallets,Gents wallets,Bi-fold Wallets,Tri-fold Wallets,Mens travel wallets etc. 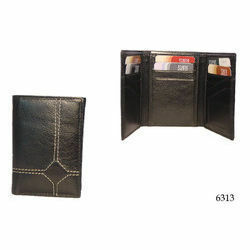 We are manufacturer and exporters of leather mens wallets. 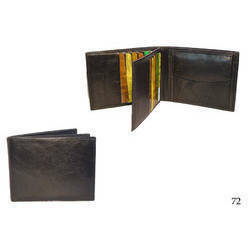 Below are some categories we deal in Mens Wallets, Leather Wallets, Mens Leather Wallets, Gents wallets, Bi-fold Wallets, Tri-fold Wallets,etc. 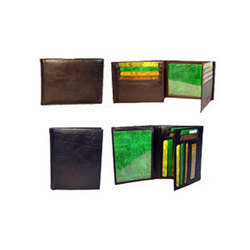 We are manufacturers & exporters of Tri-fold leather wallets. Mens Wallets, Bi-fold Wallets, Tri-fold Wallets,Bi-fold Leather wallets, tri-fold Leather Wallets,etc. Tri-fold wallet is a wallet with two folds, in which credit cards are generally stored vertically. Minimum Order Quantity: 100 piece. The highly talented team of our company presents Leather Planners of superior grade. These planners are manufactured using premium grade raw material that is procured from known and trusted dealers. It is available with center fold and with many pockets to keep the documents in order. In addition to this, it is provided with a leather strap that ties the folder when it is closed to avoid falling off documents. In addition to this, it is being offered at the normal rates. 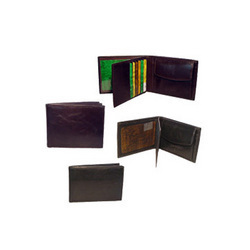 We are manufacturers & exporters of Bi-fold leather wallets. Mens Wallets,Bi-fold Wallets,Tri-fold Wallets,Bi-fold Leather wallets,tri-fold Leather Wallets, etc. Bi-Fold Wallets is a type of wallet in which the banknotes are folded over once. Bi-Fold wallets has become standard wallet. Credit cards and identification cards may be stored horizontally or vertically. 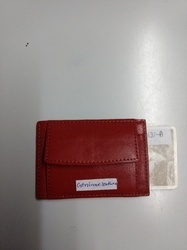 Looking for Mens Wallets ?